Nothing says "Football" like Buffalo Wings. Before having my son my husband and I would always go to Buffalo Wild Wings to watch the football playoffs and I would always order their boneless wings. I wanted to re create the recipe at home but wanted to make a healthier version. I decided to bake them instead of deep frying. I also marinated the chicken in buttermilk before hand. Well, let me tell you.... these wings were as close to the real thing as you can get without deep frying. They were delicious! Put the chicken and buttermilk in a large zip lock bag, and let marinate for 1-2 hours. Put Shake n Bake coating in a shallow container. Shake off excess buttermilk from chicken and coat with Shake n Bake. Place on a greased cookie sheet. Bake for 10 minutes on one side. Flip and bake for another 10 minutes, or until chicken is cooked through and coating is crispy. 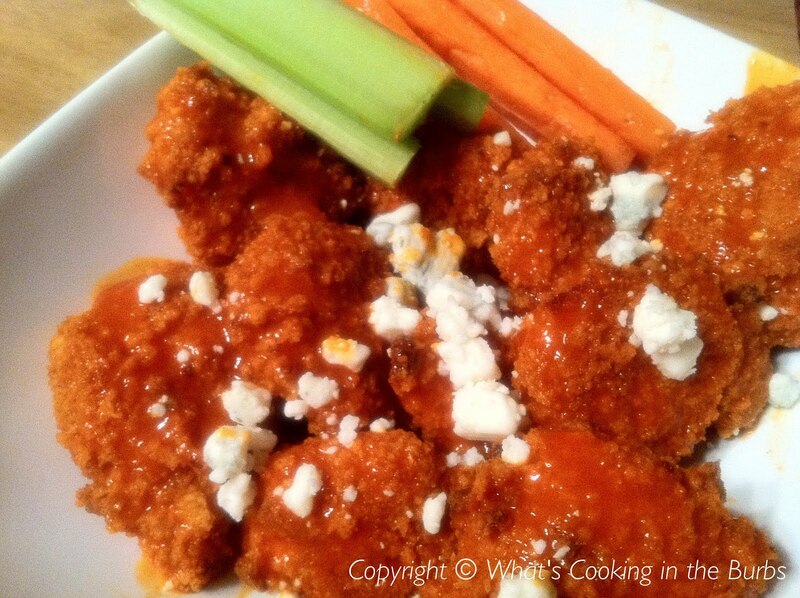 Toss the chicken in the wing sauce and top with blue cheese crumbles. Serve with ranch or blue cheese dressing. Enjoy! These look so good, Bridget! I love that they are baked. Yum! I love Buffalo Wild Wings too. I can't wait to try these! I am going to try these very soon, I love boneless wings! Thanks for posting! You make amazing football party food! I want to gobble these up and yell "Da Bears!" 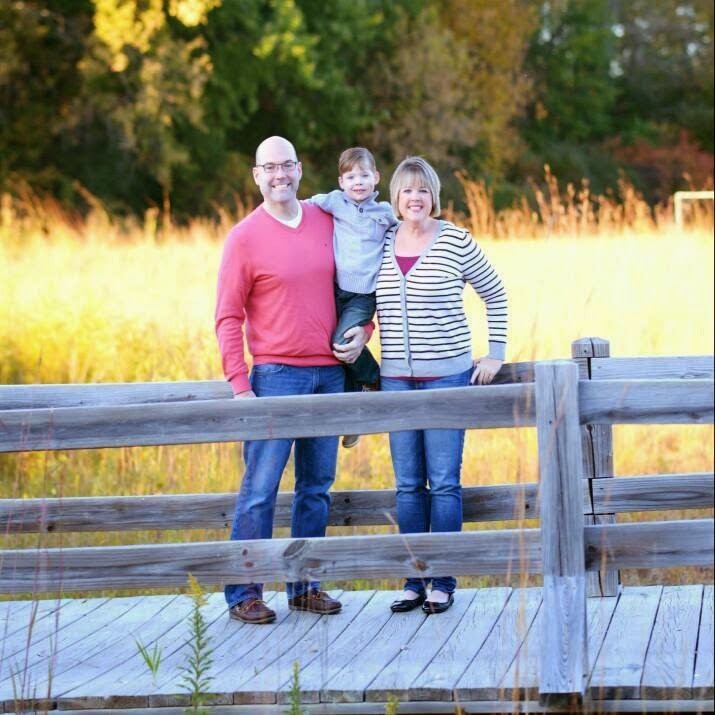 Thanks for linking at Show Me Your Plaid Monday's! Hey Bridget!! I hope you had a wonderful weekend! I just wanted to swing by to let you know that you are one of the features this week at Mom's Test Meal Mondays!! Thank you so much for linking up! !